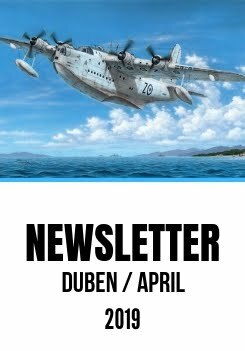 February instalment of SH Newsletter is an invitation for all our customers and modellers interested in Special Hobby production to visit the 2017 Nuremberg Toy Fair. We will be happy to see you at Special Hobby stand no.E-52 in Hall 7. Models SH48058 and A021 are sold out and withdrawn from production. Please, do not order them. Although Spanish dictator Franco owed to the Italian fascists and German Nazis for the successful coup, he did not let them to pull him into World War 2. This fact did not prevent him, however, from purchasing weapons or their production license rights from Hitler’s Germany. The license for the Bf 109F/G fighter was purchased in this manner. The airframe production was trouble free in Spain but the engines should have been delivered by Germany. Eventually this never happened so the Spanish have to help themselves. Initially, they tested domestic HS-12Z engine but it was no earlier than in 1949 that a small series of HA-1109 K-1L/C-4J was produced. Meanwhile the airframes had been awaiting the power plant installation already since 1944! In 1953, Great Britain lifted the embargo so it was possible to purchase British Merlin 500/45 engines. Eventually, these engines were installed into modified Messerschmitt airframes. Between 1955-56, the Spanish Air Force received 171 machines of the new HA-1112 M-1L/C-4K Buchón (Pigeon) version. Of course these aircraft could not have been used as fighters, their primary role were the ground attacks. For these missions the aircraft were equipped not only with cannon armament but also with rockets. The latter were used against the insurgents in Spanish Morocco in 1958-60. During the mid 1960s the Buchóns were transferred to training and reserve units. But their finest hour was yet to come. About 15 Buchóns together with Spanish license-built He 111 (CASA 2.111) were used for the filming purposes during the shooting of Battle of Britain film in 1968. To resemble the Bf 109 the film Buchóns were modified by addition of the squared wing tips, mock up weapons and tail plane struts. Of interest might be the fact that during the filming the Buchóns were used not only as German aircraft but also to expand the Hurricane force as they flew in the formation in the background. Several Buchóns survived the filming and participated in other films, too. Some of them still fly nowadays as warbirds. The kit of the Spanish ground attack version of the Buchón contains two frames with grey styrene parts, a part of which, including the rockets and their racks are injected from a metal mould that was completely designed in 3D CAD, there is also a frame with clear parts, highly detailed resin cast cannon parts, exhaust stacks and photo-etched parts. The Buchóns in Spain served in two camouflage scheme standards. Initially it was the overall blue coat that was later replaced by aluminium dope on the upper surfaces and light blue coat on the lower surfaces. The decal sheet offers markings for three machines; two of them feature the standard camouflage scheme while the last one carries non standard field applied camouflage. The overall blue and the non-standard machine sport nicknames on their noses and also unit badges. The very first version in service was the AJ-37 attack-fighter, later upgraded to the ASJ-37 Viggen standard. One of these modernized machines got a special red anniversary scheme and was also embelished with “Show Must Go On” inscriptions and ghost cartoons and is now offered in our model kit which comes on seven grey styrene sprues with one clear with canopy parts and all that is topped by a pre-coloured photo-etched set. Although the Viggen model is detailed enough, we also would like to offer the modellers several separately available CMK resin sets. These are: Q48 219, 220, 221, 222 a 4310. One of the world´s most widely used helicopters is the MD 500 which is also produced in the MD-520N NOTAR version. The NOTAR system has been developed by MDD Helicopter System company and it is a state-of-the-art means of eliminating the main rotor torque forces which means there is no need for the standard tail rotor. The kit parts of this unique helicopter originate in already non-existent Profiline company and we have added several more resin and photo-etched parts to make the model more life-like. The decal sheet has three civil marking options, a Czech-based machine, one British and one from Germany and also one machine of the Belgian police. For our February offer, we have also prepared a re-issue of several model kits of two highly important US fighter planes of the WW2 era, all of them in 1/32 scale. These types are the P-36/H-75 Hawk aND P-39/P-400 Airacobra. So, the following models are back in our range. In Finland, the H-75 fighter planes were in fact originally French and Norwegian machines which had been captured by German forces. The Finnish Air Force used airframes equipped with the R-1830 power plant as well as the version with the R-1820 both of which saw action against the Soviet Union. The kit caters for one marking option of the R-1830-equipped airframe and one with the R-1820 which also bears a motif of Stalin´s head. It is an export version of the H-75 Hawk type featuring a fixed undercarriage and the model brings camouflage otpions of the air forces of Argentina, Siam and China. The British Royal Air Force ordered Airacobra Mk.I machines and put them into service for a short while with No.601 Sqn. These machines were later handed over to the USSR. The Australian RAAF got their P-39 planes from the USAAF. Our kit offers two British machines (one of them belonging to a squadron leader and another flown by Czechoslovak pilots fighting in the UK) and one RAAF machine. The Airacobra was used also in the Pacific, flying from various islands and taking part in the battles against the Japanese. This Hi-Tech format kit comes with very interestig options amongs which is an all-black machine with a motif of a semi naked girl figure and also two machines in sand over light blue colours. The Hi-Tech means that the modeller gets plethora of detailed resin and photo-etched parts. Greatest numbers of the P-39 Airacobra fighter flew in service of the Soviet Union military. Because of the nature of fightings over the Eastern front, the Soviet pilots who flew them were highly successful. This kit brings camouflage options for three machines, one of them with two different markings of Soviet aces. All the machines are adorned with various letterings, badges or kill markings. At the beginning of 1942, after the USA had entered the war, the USAAF found itself in a desperate need for any suitable type of aircraft. A batch of the Airacobra Mk.I fighter planes that had been ordered by the British RAF was requisitioned and put into service with the USAAF in the Pacific Theatre of Operations, known there as the P-400 Airacobra. The rest of the ordered airframes would later be delivered to the UK and even later handed over to the Soviet Union. This model offers three eye-catching and interesting camouflage options of the USAAF P-400 and one machine of the Soviet VVS (AF). Detailed cast resin figure of a pilot running towards his aircraft. His head and arms come as separate parts. The figure is made for the new Special Hobby model. Besides the incorrect Bundesluftwaffe hot seat type, there are several other mistakes in the Tanmodel RF-84F kit. At the beginning of the Second World War, the Flygvapnet, or the Swedish Air Force, found itself in a very difficult position. The obsolete Gladiator fighter biplanes called for replacement by some more modern piece of equipment. The Sweden´s effort to solve this trouble by making a purchase abroad was only partially successful as because of the 1940 embargo, the US-made Seversky P-35A and Vultee Vanguard fighter planes could not have been delivered and Italian Fiat CR.32 and Reggiane Re.2000 machines were only kind of stop-gap measure. So the Swedish government took a decision not to rely on foreign supplies any more and commissioned a new and indigenous fighter machine to be built by FFVS´s (Royal Air Administration Aircraft Factory in Stockholm) team led by chief designer Bo Lundberg. The first prototype J-22 aircraft took off for the first time on September 20, 1942 and the production airframes, known as the J-22A, saw service no later than the following year. Another version, designated as the J-22B, was later also produced. In total, the J-22 fighter saw service with seven Flygvapnet´s Air Wings and remained on active duty until 1952. Between 1943 and 1946, they were the backbone of the Swedish fighter forces until their replacement by more modern types such as were the propeller-driven SAAB J-21A and J-21R jet fighters and abroad-purchased P-51Ds and DH 100 Vampires. The kit contains nicely detailed resin parts with a PE-fret, white metal undercarriage legs and a decal sheet with markings for two J-22A machines. One of them is adorned with white stripes on its fuselage and wings which were used to mark aircraft taking part in an military exercise. The other kit option is embelished with a unit´s badge in a form of a figure of the devil. The canopy is vacuum formed and the armoured glass situated in front of the pilot is made of clear resin.